03 กันยายน 2561 | 11:54 น. The unprecedented success of PackPlus New Delhi has added to the enthusiasm, and the industry is now gearing up for the South edition of the event. Slated to be held from 10-13 April 2019, PackPlus South will come together with PrintFair and SupplyPlus at the state-of-the-art venue of Bangalore International Exhibition Centre (BIEC), Bengaluru. The requirement for packaging is rising across sectors with traditional businesses preferring to package products. The retail and e-commerce is growing rapidly, giving the sector a robust growth. The industry certainly presents potential growth opportunities for new entrepreneurs, and small and medium enterprises. • Annual economic growth of the country is 8%; in South India, it is 17%. • 36% of the National Agricultural produce is from South India. • South India is the largest producer of spices in India • 75% of India's total coconut produce comes from South India. • South India grows 48% India's entire cotton produce. • South India has emerged as the largest consumer of 'poly ethylene terephthalate' (PET) material for packaging mineral water. • The region is a strong pharma hub with strong infrastructure of research facilities and scientists. • Dairy product packaging constitutes a large portion of the South India Packaging industry. • Abundant tea production in South India brings prospects in paper bag packaging industry. The PackPlus South exhibitor profile includes Packaging Machines, Materials & Equipment; Coding & Marking Solutions; Flexo, Gravure, Offset & Screen Printing Presses; Label Printing Equipment; Corrugated Box Making Machinery; Paper, Film, Foil, Inks & Other Consumables; Food Production & Processing Equipment; Barcodes & RFID; Rigid & Flexible Packaging; Flexible Intermediate Container; Woven, Sacks & other Bulk Packaging Solutions; End-Of- Line Packaging Solutions; Supply Chain, Logistics and Material Handling. PrintFair, the Commercial Printing, Package Converting & Digital Sign Show, will present a wide range of exhibitors from Prepress, Press, Postpress and Paper Converting. The event will give an opportunity to the participants to discover new business opportunities with quality control managers, Design houses, art directors and production managers and graphic designers. At the same time all kinds of trimming machines, wiro and spiral binders, Envelope, paper towel, paper bag, paper cup, paper tray making machines, materials and consumables, prepress chemicals, web guides, inspection and defect detection systems, continuous stationery printing machines will be put on display by the exhibitors. SupplyPlus South, the Logistics, Warehousing & Distribution Show, will bring companies from Warehousing, Handling, Transportation, Software, Track & Trace, Cold Chain, Weighing & Testing Equipment, Work and Environmental Safety Technologies on board. 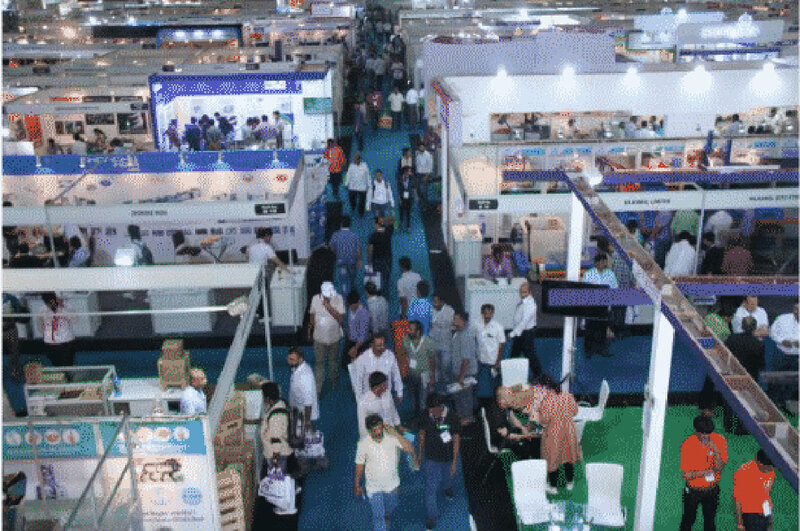 The Show will be visited by Supply-chain, Logistics and Distribution Professionals from the Processed Food, Agro-produce, Pharmaceuticals, Personal Care, FMCG, Household Durables, Modern Retail & other industries.